Before a clutch issue can be solved, it must first be diagnosed. The initial diagnosis of the problem is the most important part of clutch repair. For example, a clutch may be slipping because it is old and worn, however it could also be caused by grease or oil contamination, release mechanism problems or an incorrect flywheel profile. If the initial diagnosis is incorrect then even if repair work is carried out, the problem will still remain. The replacement clutch will then suffer the same issues as the original. We recommend following vehicle manufacturers’ individual clutch installation instructions, unless the kit requires a different procedure, in which case any special instructions required will be provided with the kit. 1.The application of excess spline hub grease or an incorrect grade of grease during installation. This common mistake can cause contamination of the friction surfaces, resulting in the clutch slipping and/or juddering. Apply a small amount of suitable high melting point spline grease to the input shaft, the splined hub, the fork (where it contacts with the releaser) and the fork pivot surface. Then slide the friction disc onto the input shaft and wipe off any excess grease before installation. There are several reasons for this happening, including: hanging the gearbox during installation, forcing the gearbox input shaft during installation, a worn or missing pilot bush (spigot bearing), warping of an alloy gearbox bell-housing, damaged or missing gearbox dowel pins, interference between the gearbox and engine mating surfaces caused by dirt or grease accumulation, metal chips or even by wiring and pipework clips. To avoid this problem, you must degrease and inspect the gearbox bell-housing thoroughly, ensure a transmission jack is used correctly and use the relevant clutch alignment tool during installation. Installation errors are often overlooked and it is easy to incorrectly assume that there are no problems present in this area. Thoroughly inspect the gearbox bearing guide tube, the fork or lever and the cable or hydraulics system for any wear or visible faults. Make sure to follow vehicle manufacturers’ recommendations when adjusting or replacing the bearing, the cable or any hydraulics components. 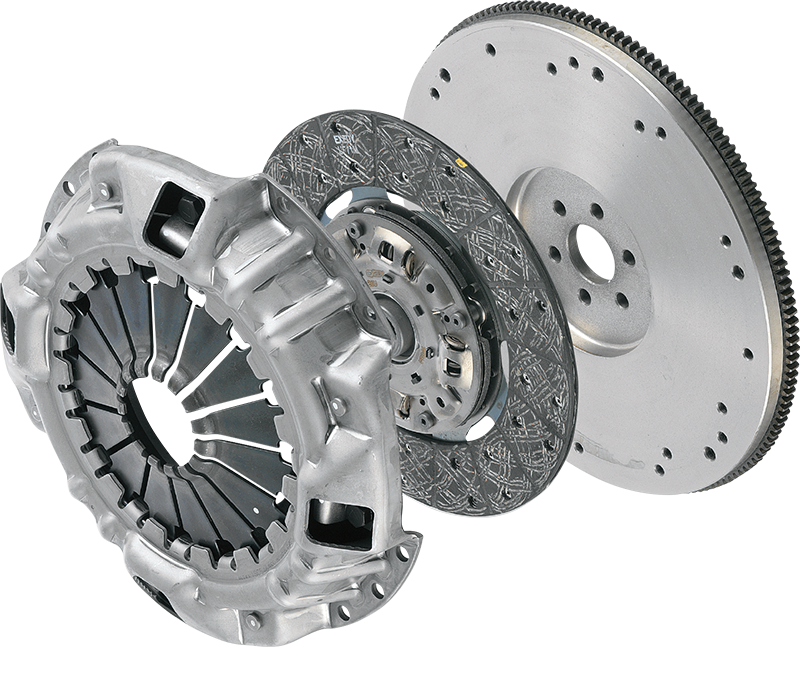 Always check for any clutch travel adjustment required upon clutch replacement. This may be necessary depending on the vehicle.